The Attic Bar & Bistro offers a Kids Eat Free until 7pm. 949 Walnut St., Boulder. 303.415.1300. Mamacita’s offers Kids Eat for CHEAP off the kids menu all night. Kids eat for 99 cents of the kids’ menu. This restaurant is on The Hill–great people watching. What restaurant should go here? Centro Latin Kitchen has Family Night each Sunday where Kids under 10 receive a FREE kid’s entrée (choice of any entrée from the Centro kids’ menu) with the purchase of an adult entrée after 5 p.m. 950 Pearl St., Boulder. 303.442.7771. Minglewood offers Kids Eat Cheap Every Day. Kids get all you can eat pasta for $6. My kids love this place! Moe’s Original Bar B Que offers Kids Eat Cheap Every Day. Kids 10 and under pay $2 for their kids menu daily. They are new in town, but delicious! Smiling Moose provides a Free Kids Meal with the purchase of any sandwich, chips, & a drink. Coupon is at the link above. 3223 Arapahoe Ave, Boulder. 303.530.2700. 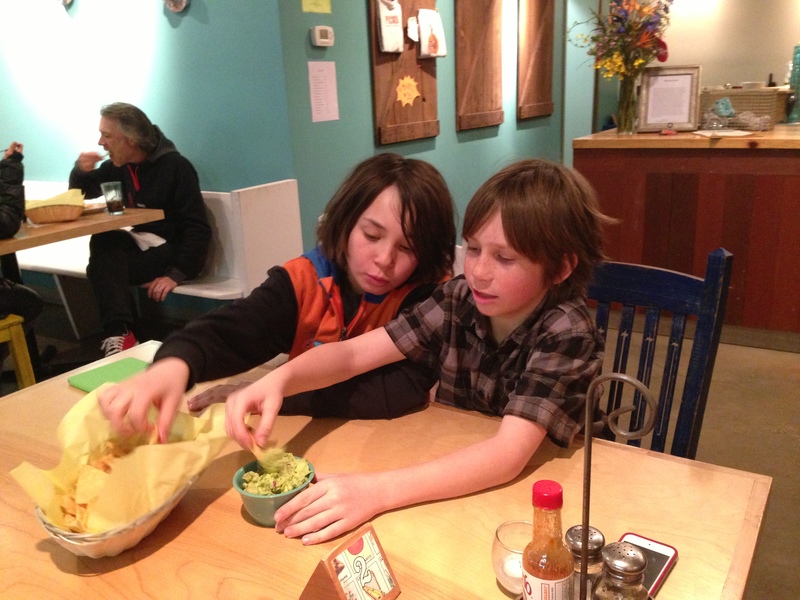 Wild Mountain Brewery offers Kids Eat Free on the first Tuesday of each month. For kids 12 and under with a paying adult. 70 East First Street, Nederland. 303.258.WILD. Casa Alvarez offers Kids Eat Free every day with the purchase of an adult meal. Just join their club-it’s free, easy and you get the discount the same day. 3161 Walnut Street, Boulder. 303.546.0630. Don’t forget to always call ahead to make sure these restaurants are still offering their Kids Eat Free deals as they are subject to change at any time. If you tried one of the Kids Eat Free! deals, did you like it? Which restaurant[s] are your family’s favorites in the Boulder area? Where are some other great deals for families? Any favorites for the gluten-free crowd? Dairy-free crowd? This entry was posted in Gluten Free, Kids Eat Free, Uncategorized and tagged Boulder, Cheap, Colorado, Dining, Dining out, Free, Kids Eat Free by Boulder Families. Bookmark the permalink.